In late 2016, Middlebury College became a carbon neutral institution. Middlebury College was one of the earliest academic institutions in the US to set a specific goal and timeline for reduction of global warming pollution when it adopted a resolution endorsing the College’s Carbon Reduction Initiative Working Group’s recommendation to reduce greenhouse gas emissions by 8% below 1990 levels by 2012, adjusted on a student (per capita) basis. Education institutions often go the solar route and spend hundreds of thousands of dollars to lower their electricity bills. This is partially because the energy-saving focus is typically placed on electricity rather than on HVAC and facility process systems. While largescale changes are needed for most colleges and universities if they are truly to reach their carbon neutral goals, one of the simplest places to begin is often overlooked: mechanical insulation. Insulation is often taken for granted, yet it is estimated that between 10% and 30% of all mechanical insulation is missing or damaged. This means that the intended ROI and energy-saving benefits aren’t able to be met, because the integrity of the system is compromised. Mechanical insulation generally has a payback period of just 2-3 years. But despite this quick return on investment, solar is still the go-to energy upgrade for many institutions—even though the average payback period for solar systems is 7 to 9 years. Solar power is certainly a worthy investment that contributes toward a more sustainable future for colleges and universities. However, insulation energy audits need to be included in energy proposals! The benefits of properly installed mechanical insulation coupled with the unbeatable payback period are too advantageous to ignore. 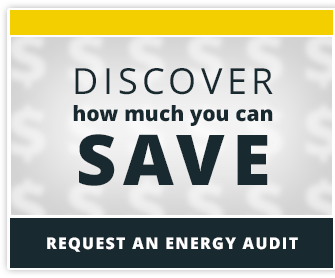 Colleges and universities should be incorporating mechanical insulation audits to determine where there is lost efficiency and opportunities for increased energy savings.